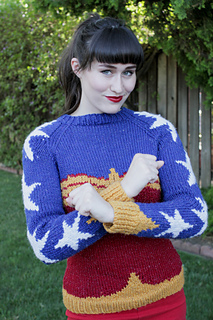 patterns > Natorious on Ravelry! 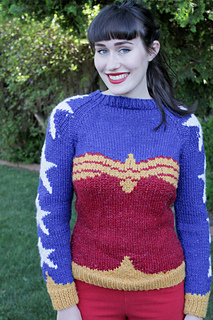 Wonder Woman is entirely charted because of the color work, this makes it easier to lengthen/shorten and adjust sizes for a perfect fit. 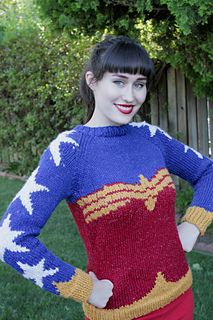 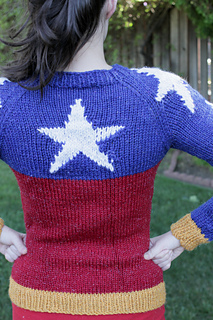 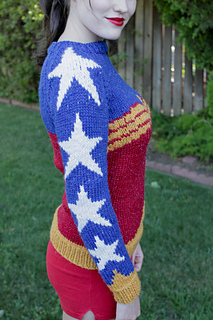 It was designed specifically around Cascade’s Hollywood yarn, since the glitzy shimmer is simply perfect for a superhero sweater.